Linda Earl was raised and has lived most of her life in the beautiful Skeena Valley. She has sewn since she was a young teenager making her own clothes and then sewing for her children, in 2000 she began quilting and a whole new world opened up. The challenge of new techniques and ideas has made quilting an exciting and ongoing learning experience. Her pieces have found homes locally and internationally, England, Germany, Japan, New Zealand and in the USA. 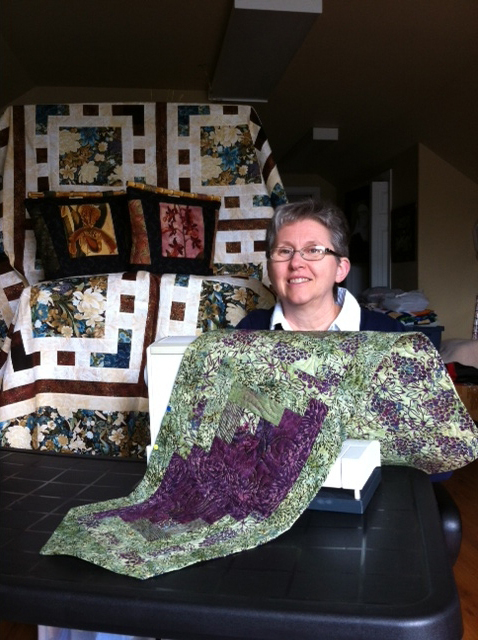 Linda’s quilting pieces are for sale at Mountainside Gallery and Framing, and at the Skeena Valley Farmer’s Market. She will also do commissioned pieces.